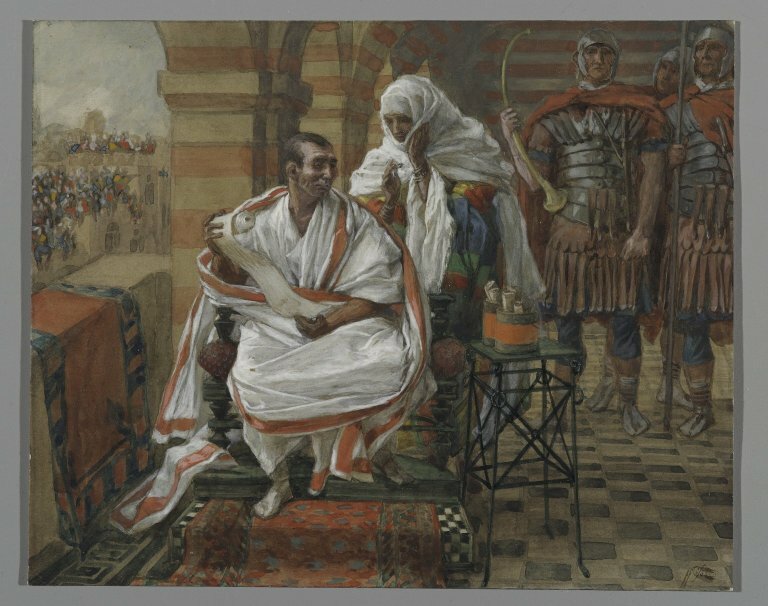 The Message of Pilate’s Wife, James Tissot, via Wikimedia Commons. with pearly nails, like shells from Galilee. Indolent hands. Camp hands that clapped for grapes. Their pale, mothy touch made me flinch. Pontius. bored stiff, disguised, and joined the frenzied crowd. and there he was. His face? Ugly. Talented. He looked at me. I mean he looked at me. My God. his rough men shouldering a pathway to the gates. The night before his trial, I dreamt of him. His brown hands touched me. Then it hurt. by a nail. I woke up, sweating, sexual, terrified. Leave him alone. I sent a warning note, then quickly dressed. When I arrived, the Nazarene was crowned with thorns. and slowly washed his useless, perfumed hands. up to the Place of Skulls. My maid knows all the rest. Was he God? Of course not. Pilate believed he was. 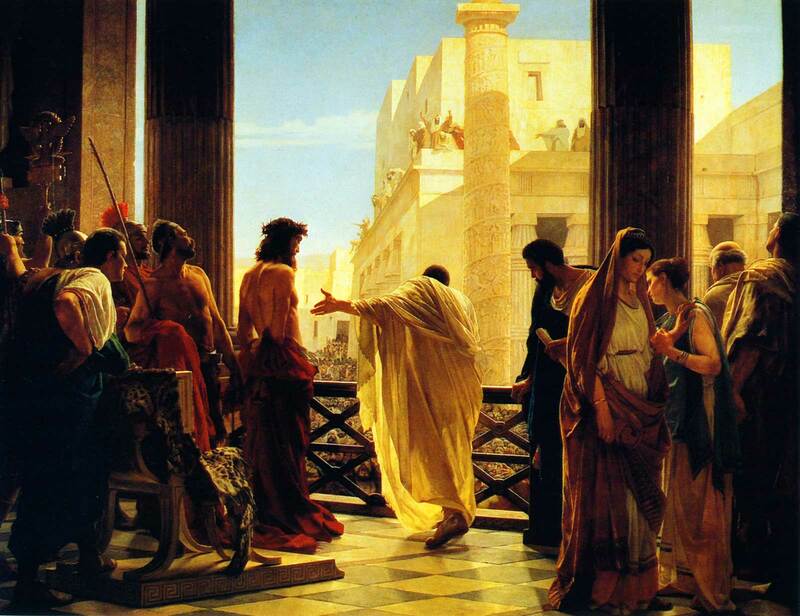 The Women in the Bible website has a feature on the wife of Pontius Pilate. If you’d like some more Easter thoughts and resources, there’s a handy-dandy list of all the Lent and Easter posts here. 32 ideas for celebrating Easter at home. A full online Service of the Shadows, including artworks to contemplate, based on the Tenebrae-style service West Baptist does.